(BEAVER FALLS, Pa.) – Amici Musicae Choir and Orchestra from Leipzig, Germany will perform Johann Sebastian Bach’s B minor Mass, one of the greatest works of sacred choral music, at First Presbyterian Church, Beaver Falls, PA, at 2 p.m. on Sunday, February 17, 2019. 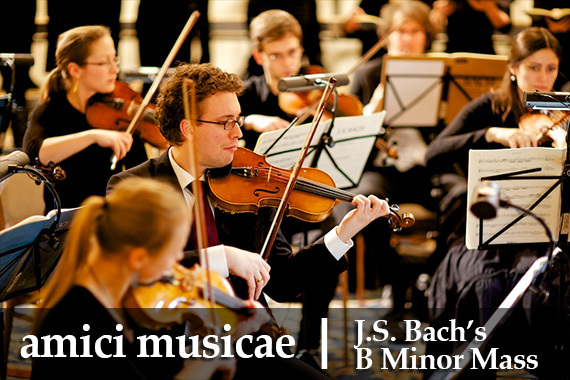 Amici Musicae is a leading force in the performance of the choral and orchestral works of Johann Sebastian Bach in Leipzig, Germany, where Bach was church music director for 27 years. The performance is sponsored by Geneva College and The Genevans choir and is free to the public. First Presbyterian Church is located at 1103 8th Ave., Beaver Falls, PA 15010.